Chronic inflammatory lung diseases (asthma, COPD, fibrosis) are increasing worldwide. None of the diseases can be cured, only the symptoms can be controlled by anti-inflammatory and muscle relaxant drugs. The pathogenesis of chronic inflammatory lung diseases is not well understood as the existing theory of deregulated immune response cannot explain most pathologies sufficiently. 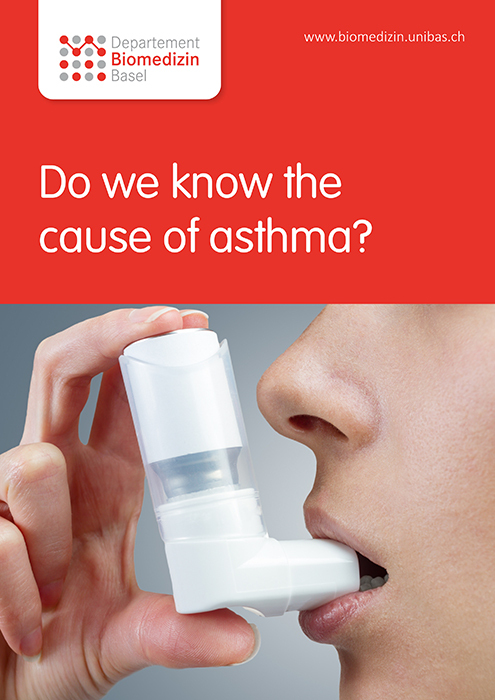 Asthma affects more than 235 million people (www.who.int/mediacentre/ factsheets/fs307/en) and is a lifelong disease. Asthma is not curable, only symptoms can be controlled. Environmental triggers, mainly allergens trigger 55% of all asthma attacks. 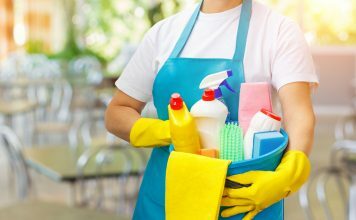 The remaining 45% are due to stress, exercise, or changes in temperature, humidity or dust content. In 1922, asthma was described as increased thickening of airway wall smooth muscle bundles. 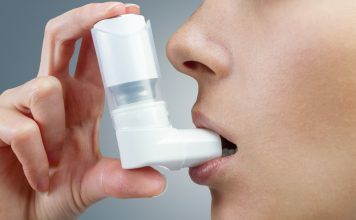 After decades of studying the role of the immune response in asthma the idea that altered smooth muscle function is a major asthma cause has been revived in the past two decades. Destroying smooth muscle cells by heat in patients with severe asthma kept them symptom free for 5 years. However, this form of bronchoscopic therapy can only be applied to few asthma patients. 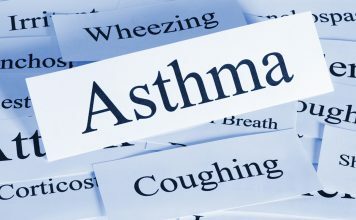 To better understand the origin of asthma we isolate human diseased and non-diseased smooth muscle cells from bronchoscopic biopsies to study and investigate the conditions leading to the asthmatic phenotype. Together with our colleagues from Australia, Canada, Greece and Netherlands we observed that asthmatic smooth muscle cells produce: (i) pro-inflammatory Wnt-proteins, and (ii) short forms of hyaluronic acid. Furthermore, the cells produce less of anti-inflammatory semaphorin 3a. We also provided data indicating that the mechanism controlling the translation of the cell differentia- tion controller C/EBP-alpha from mRNA to protein is impaired in asthma and can be down-regulated by house dust mite allergen. Why this translation impairment is specific for C/EBP-alpha is still unclear. COPD was the 4th most frequent cause of death worldwide in 2008 (www. who.int/mediacentre/factsheets/fs315/en) with increasing prevalence. COPD cannot be cured, only the symptoms can be controlled and progres- sion might be slowed down by anti-inflammatory and muscle relaxing drugs. In high income countries cigarette smoking is the major cause of COPD. In low-income countries the exposure to dust, smoke, and ashes (open fire cooking, heating) are independent causes. Exposure to risk factors early in life (pregnancy, first 6 years) increases the susceptibility to develop COPD later. The mechanisms that lead to COPD are unclear and involve the im- mune response as well as tissue forming cells of the small airways. Using human diseased versus non-diseased lung cells we have shown, that other cellular pathologies as in asthma can be found in cells of COPD patients, including: (i) deregulated C/EBP translation control by cigarette smoke, (ii) faster degradation of hyaluronic acid contributing to inflammation, and (iii) lower response to the anti-remodelling action of steroids and beta2-agonists, which are the most prescribed drugs in COPD therapy. Our translational COPD studies are embedded in large clinical trials. Lung Fibrosis is a rare but devastating non-malignant disease of the lung. Bronchiolitis obliterans (BO) develops as a severe complication following allogeneic stem cell transplantation. We have been one of the few groups worldwide being able to isolate and maintain epithelial cells and fibroblasts from fibrosis and BO patients. In collaboration with the University of Bern we have recently shown that the differentiation of epithelial cells isolated from human lung tissue is different from that of non-diseased lungs. 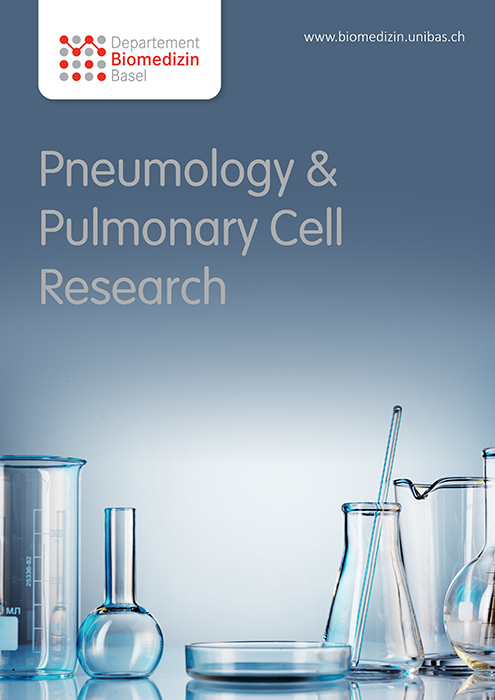 Our data indicates that IPF lungs contain larger numbers of pluripotent cells which display an epithelial phenotype, but can differentiate into a large va- riety of other cell types. Beside our studies to understand the role of these cells in fibrosis and BO we use these rare cells to investigate beneficial ef- fects of novel anti-fibrotic drugs. The clinical research is supported by a SNSF professorship and focused on large cohorts of patients with COPD, selected groups of patients with asthma, lung fibrosis and bronchiolitis obliterans (GvHD of the lung) following allogeneic stem cell transplantation. Risk factor analyses are performed and new biomarkers tested for predictors for exacerbations and survival of COPD patients. The clinical setting of a close collaboration of pulmonologists with other clinical specialists (thoracic surgeons, hematologists, pathologists etc) and basic researchers as well as the close location of the clinic of pneumology and the DBM give us the unique opportunity to culture cells from the human lung of patients with specific lung diseases. Human epithelial cell cultures, fibroblasts and bronchial smooth muscle cell cultures are taken from bronchoscopic biopsies and immediately processed. This approach allows to identify pathophysiological pathways of the diseased cells and to test new medications on a cellular level. Components of tissue remodelling are studied as well as the influence of allergic and non allergic stimuli. In parallel to the translational research projects numereous inves- tigator driven noncommercial randomised studies are performed to optimise patients safety during bronchoscopy in patients with and without COPD. Under the lead of the Basel clinical research team collaboration with groups in Germany, Italy, Spain, France, the Netherlands, Belgium, UK, Serbia and Greece have been established.